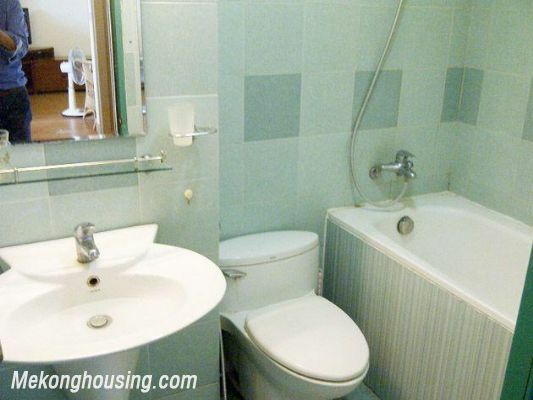 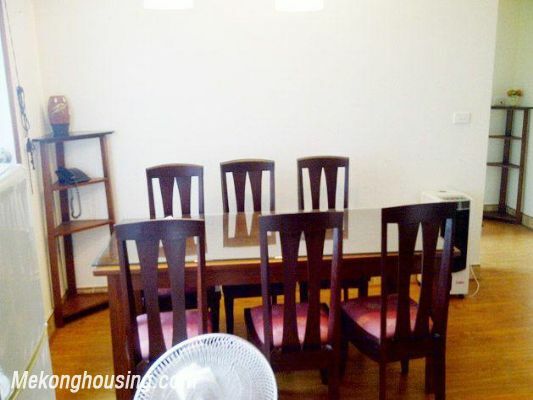 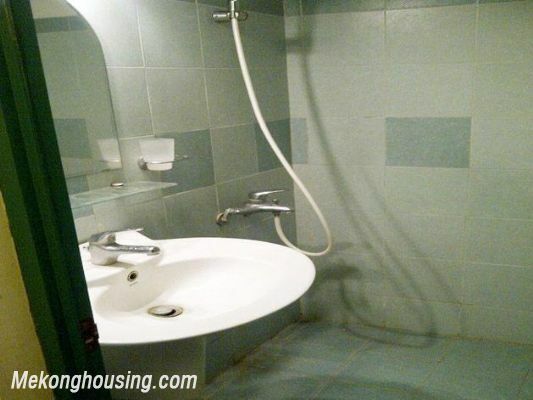 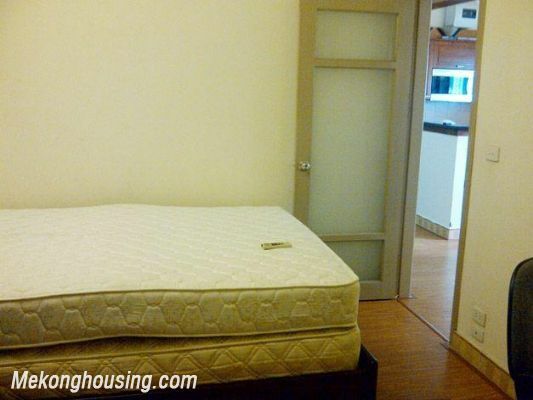 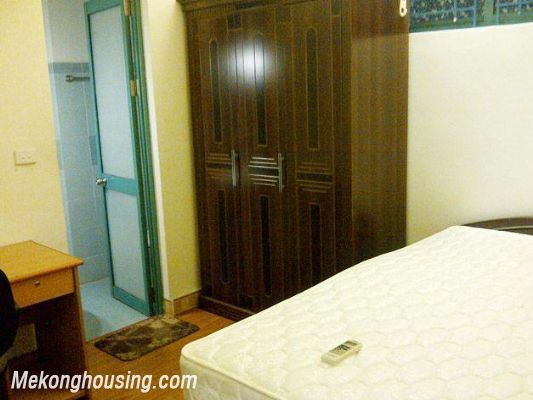 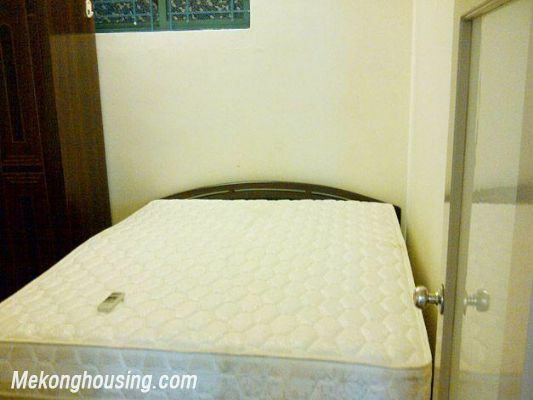 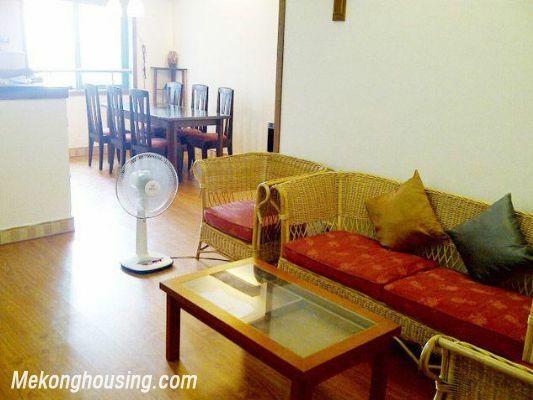 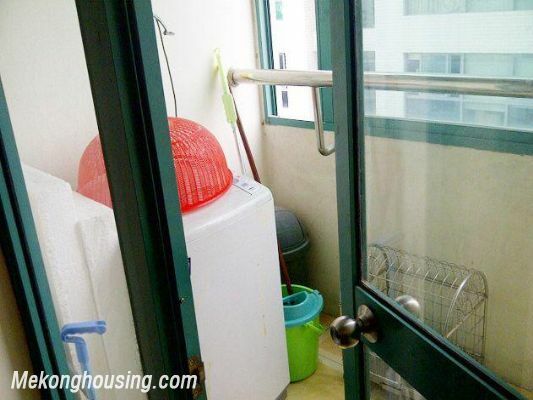 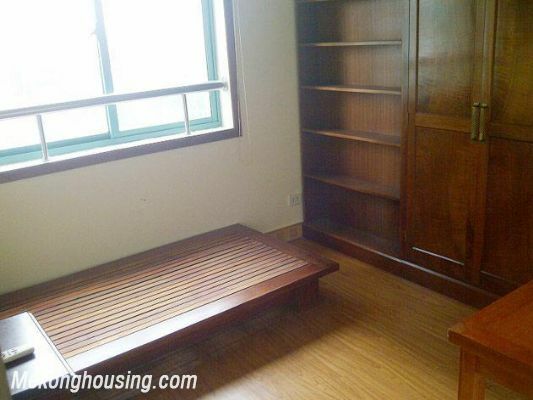 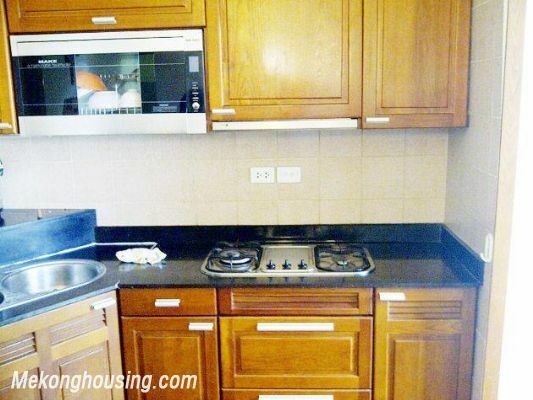 Two bedrooms apartment for rent in Hoang Hoa Tham street, Ba Dinh district, Hanoi. 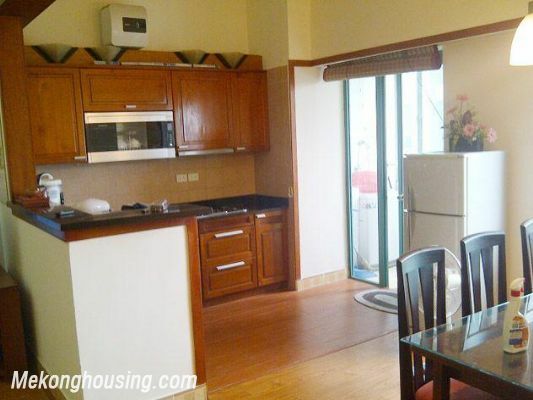 It has 88 sqm living area, composed of 2 bedrooms, 2 bathrooms ( one with bathtub), a cozy living room, a kitchen. 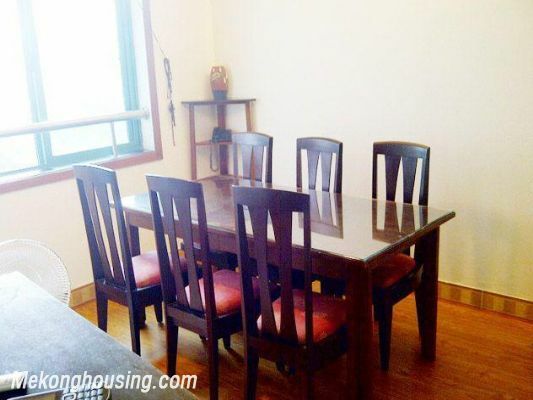 The living room is combined with dinning table on 1 space. 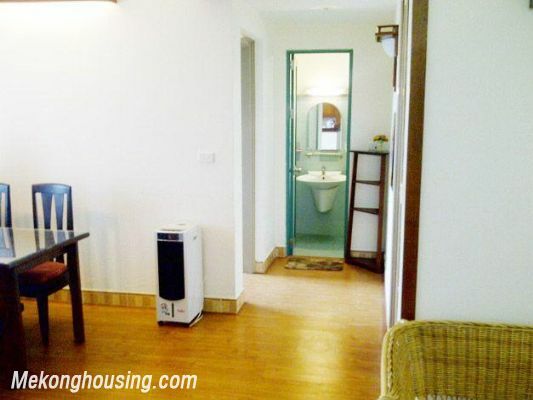 The apartment is fully furnished, well equipped, airy and full natural light.